I've never made so many comics in my life. I'm actually exhausted and I really need some rest. But it was totally worth it. Worked on Christmas and I'm gonna work tomorrow and the day after, but it's all worth it. 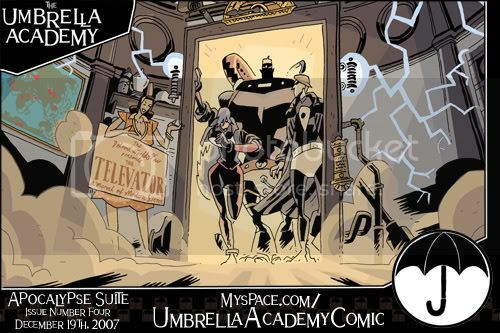 I believe we've done something special with The Umbrella Academy. I feel really proud of it. And that kept me working all these times. Last night I was finishing it, alone in the studio, late at night, and I felt like registering it. Fábio wears suits on his last days on each project. Well, I'm not the fancy one. It's no great movie, but it's just to say that I've done it. I went all the way, and I'd do it again anytime. So let's do it again next year. Oh yeah, I couldn't help putting the song as the soundtrack. It's actually one I like. My bags are packed and I'm ready to go. For good things to happen, we have to make it happen. Here's wishing next year brings a lot of good things for us, and for everybody. When midnight comes, on the 31st, I'll be watching fireworks with my feet buried in the sand of a beautiful beach, the sea gently breaking against my ankles, and I'll throw flowers and say thank you, and I'll make wishes and enjoy another good year. Hopefully, I won't be alone, and we will all have new stories to tell. 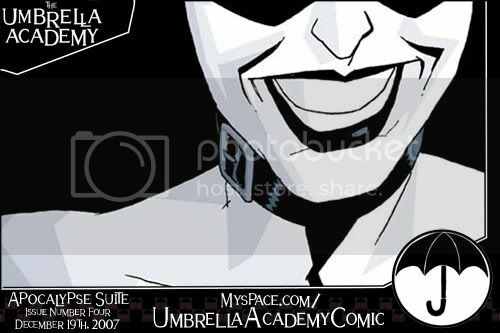 A Couple of months ago I gave this interview to Fanboy Confidencial about Umbrella Academy and comics in general and it's finally online. It's a good way to close this year with something that has been so much talked about. In the middle of the night, today, two paintings were stolen from one of the most important museums in São Paulo. One of the pieces was a Picasso. Before the year ends, the apocalypse begins. 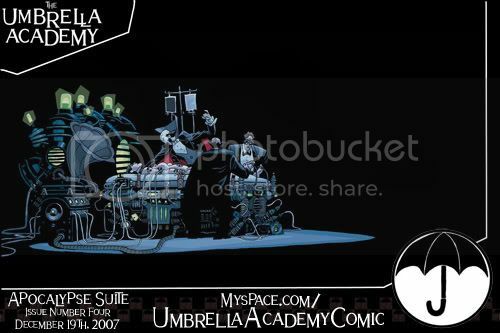 Or so it goes on the new issue of the Umbrella Academy. As I write this, Bá is working on the the final issue, on it's final pages. Issue six promises to be one of the best from the series, and the artwork is just mind blowing. Wait for it and you'll see. While you wait, issue four is out, on comicbook stores everywhere. Go get your copy and let us know what you think. This past Sunday edition of the Washington Post published their A List for Titles that earned the top grades from their reviewers, which, in their comics section, included Luxuria: Casanova, Vol 1, by Matt Fraction and Gabriel Bá. Works at the end of the year tend to pile up around here, and December is usually one of our most busy months of the year. It's nice to see little things like this while you're working. Makes it feel that, while we're very isolated when working, the work we do in getting seen, and read, and remembered. But also, before I go, here and here you'll find reviews of the most recent Casanova issue.